There's more to meeting marketing challenges than first meets the eye. Imagine you've just taken over as chief executive officer (CEO) of a $1-billion gas utility in a major metropolitan market. The battle to control profit margin really boils down to a battle for the customer premises, where the serious money resides.The gas and electric industries in the United States control about $900 billion in assets (production, logistical, merchant). They employ these assets to serve about 150 million customers (counted separately for gas and electric), but they manage to offer only two rudimentary products (em molecules and electrons (em and at only two levels of service: firm (supposedly) and interruptible (obviously). One popular model in electric utility restructuring assumes a fully competitive merchant segment providing retail energy services. These "retail energy service companies," or RESCOs, would offer services described as heating, cooling, ventilation, lighting, drive power, information, and communications. Otter Tail Power Co. (OTP) president John MacFarlane is pursuing the utility's plan to manage the assets of a portion of the Western Area Power Administration (WAPA) for a five-year period, to smooth the way toward privatization of the nation's power marketing agencies (PMAs). 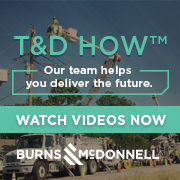 MacFarlane has written for support to the senators who represent OTP's utility's three-state service area: Byron Dorgan (D-ND), Kent Conrad (D-ND), Tom Daschle (D-SD), Larry Pressler (R-SD), Rod Grams (R-MN), and Paul Wellstone (D-MN). Otter Tail Power Co. (OTP) has asked to manage the operations and marketing activities of the Billings Marketing Area of the Western Area Power Administration's (WAPA) Eastern Pick-Sloan system (a multistate region). According to OTP president John MacFarlane, the proposal aims to smooth the transition to privatization. That sort of bravado cannot substitute for an in-depth knowledge of gas distribution. Mr. Dar in fact distorts or ignores many realities of the gas business. In tales of old, it was just a matter of finding the bottle, rubbing it the right way, and VOILA! (em out came the genie to grant our wishes. But that myth hasn't worked to fully open up transmission (em at least not to date. Some say the devil is in the details, but these details are truly devilish. Most electric utilities have invested heavily in building private telecommunications networks. In fact, U.S. utility telecommunication networks combine to form the largest private network, second only to that of the Department of Defense. While these networks improve power system control and operational efficiency, they typically contain excess capacity available for sale to other companies. Given increased competition in their core business, many utilities are currently reviewing opportunities to use this excess network capacity. In less than a decade, three powerful trends will converge on gas distributors.